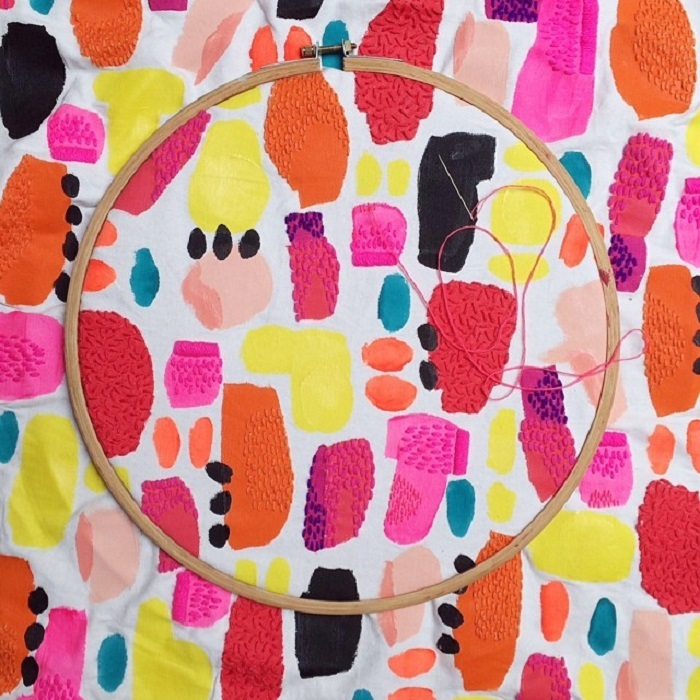 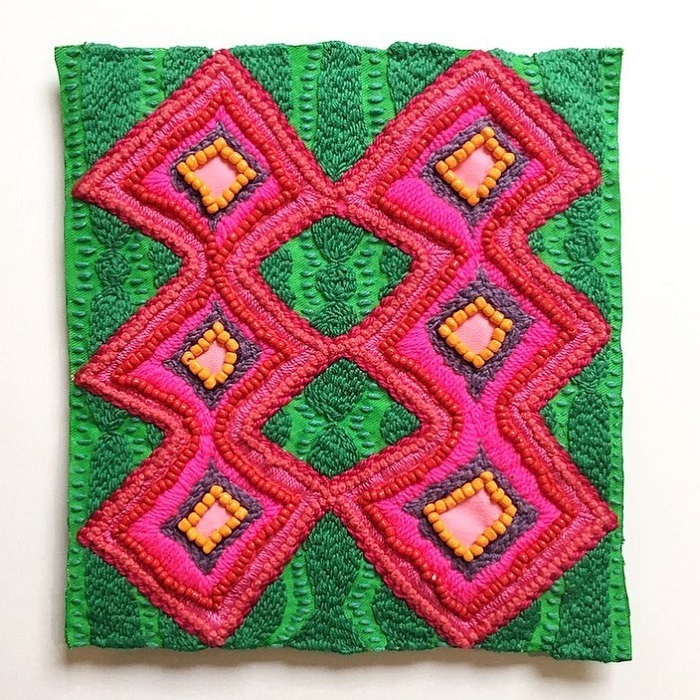 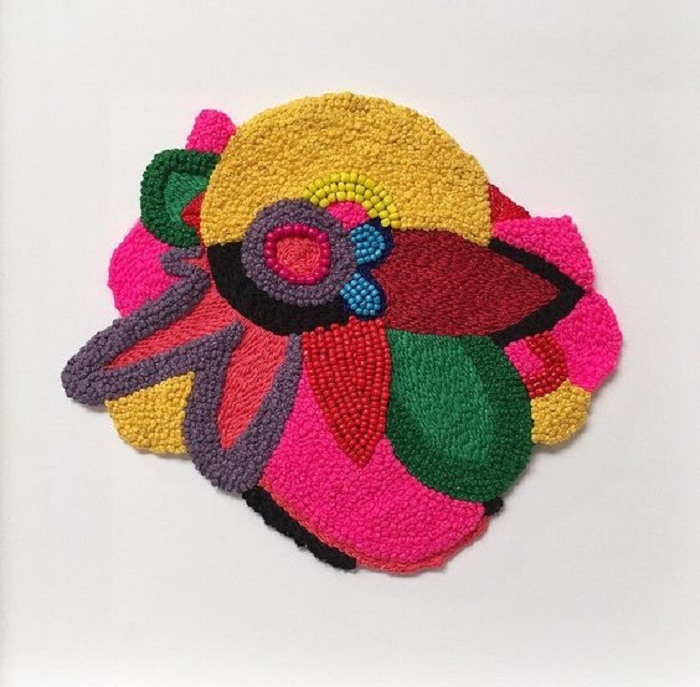 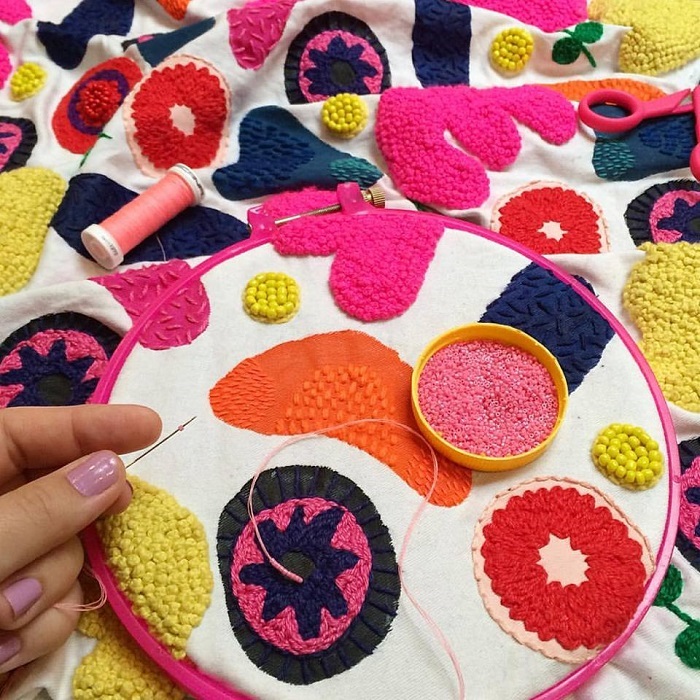 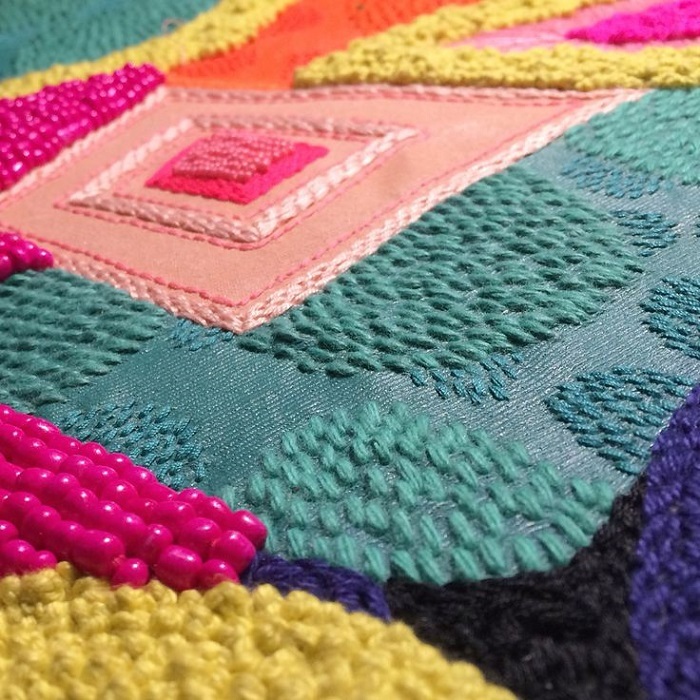 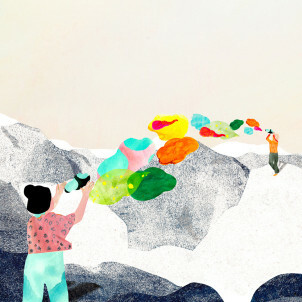 A little color fiesta on the blog with the beautiful, bright works of textile artist Liz Payne. 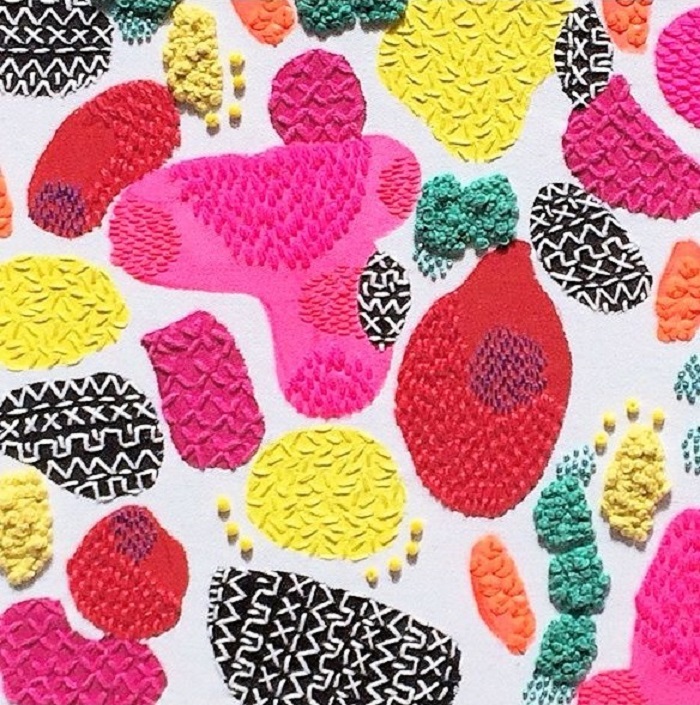 These endless combinations of shapes and colors are sooo lovely! 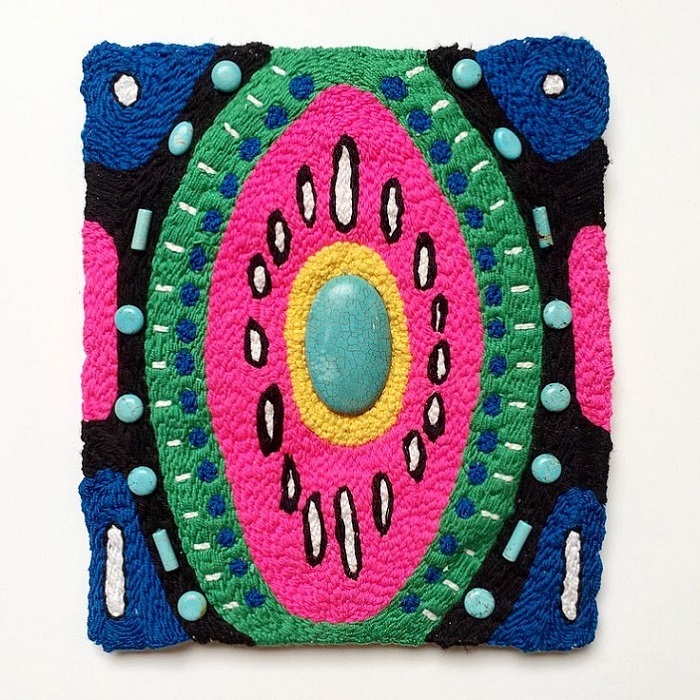 From Sydney, Australia, Liz combines textile painting with embroidery of thread, beads and sequins to create that art with a touchy treat for the hands and a visual delight for the eyes. 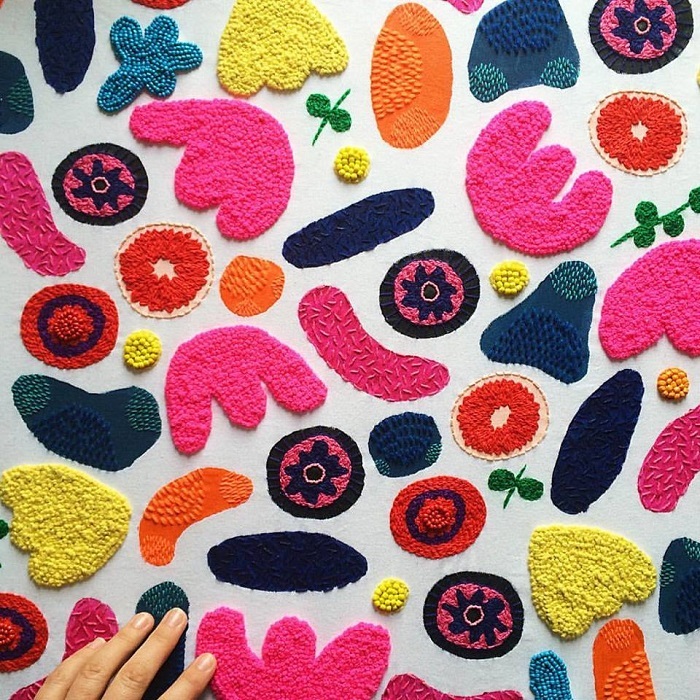 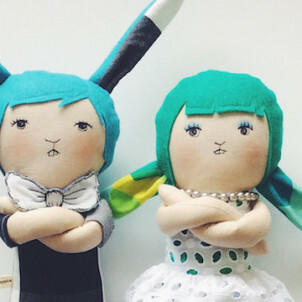 With her work, she explores the combination of ‘art’ and ‘craft’ and tends to challenge the reputation of embroidery (which is usually a slow progress) with shapes and texture that are bold, bright and colorful. 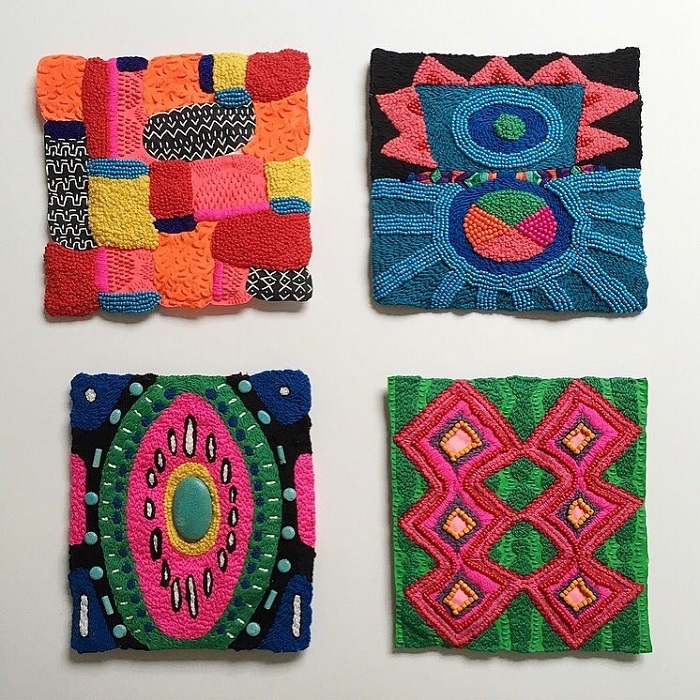 For more about liz and her amazing work visit her website.